On the cover of Elysium, Al Di Meola is not wearing a shirt. He is, in a very real sense, stripped down. 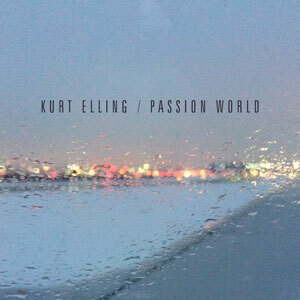 And stripped down is also the feel of this new album from the acclaimed guitarist. His new six-piece band - sans bass guitar - is the climax of a process of re-invention and fusion of genres that have marked out his recent career and brought him to a point where, as he says himself, he is “in a place of happiness”. The listener is likely to be too. Elysium is very much a showcase for di Meola’s mastery of the guitar in all its forms against a distinct and sparse, but beautiful sonic backdrop. Playing all the guitar parts himself - acoustic, nylon, twelve-string and electric - it’s the different colour undertones provided by the three keyboardists - Barry Miles, Philippe Saisse and Mario Parmisano - which give this album a distinct watermark that is worlds away from the richer fusion moods associated with di Meola from his break-out sessions with Return to Forever. The album is characterised by a rich infusion of guitar sounds complementing each other, sometimes effervescent, sometimes hard and rocky, but all beautifully played: this is an album for guitar lovers, undoubtedly. Without a bass, the drumming has a more subtle role, with Indian and other complex rhythms present at times through the inclusion of percussionist Rhani Krija alongside drummer Peter Kaszas, both of whom provide plenty of space for Di Meola’s fast and elegant riffing throughout the album, to the extent that sometime one can be overawed by the panoply of guitar sounds. First track Adour is a gentle introduction, with a mix of acoustic and guitar sounds accompanying each other, it builds to a strong crescendo with many subtle ideas coming from each of the guitar tracks - quite beautiful. Cascade is structured around somewhat Spanish rhythms, perfect for the nylon guitar picking which is faultless. Babylon is a strong track, with Di Meola’s Les Paul drawing out some classic sounds and spiky imagery. Title track Elysium has a pastoral feel with a soft rhythm and gentle introduction from his nylon stringed guitar, before picking up with some totally infectious strumming around a beautiful chord progression. Mario Parmisano’s dynamic piano matches Di Meola’s finger work for complexity and together they make this the strongest track on the album. Two halves of track Etcetera in E-major then E-minor, blend beautifully into a haunting ballad. Across all fourteen tracks, the breadth of guitar sounds and styles is significant and provides a platform to enjoy Di Meola’s playing to the full. If I had a criticism of this album it is that across fourteen tracks, there is not a sufficient amount of variety in the overall group sound, dominated as it is by guitars, and I think the lack of a bass is noticeable (but then again, maybe that’s the point!). However, that’s more than made up for by the exemplary playing which demonstrates why Di Meola is regarded as a modern day guitar god by most jazz fans. Elysium is a showcase for a guitarist whose creative juices are flowing as strong as ever, and an album that certainly will offer something new for the listener on each subsequent listen. 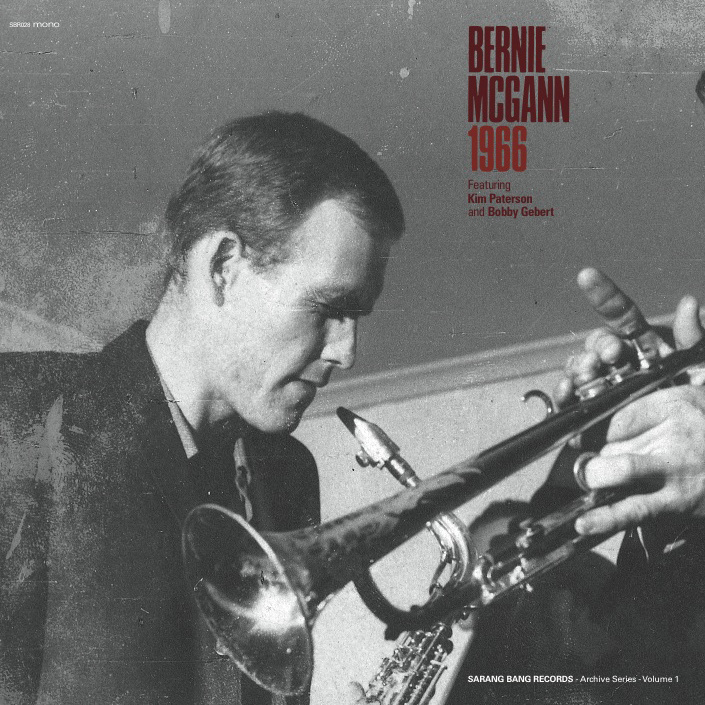 Alto sax player Bernie McGann was born in New South Wales in 1937 and died in 2013. In the early 1960s he was living in New Zealand and playing in a Cannonball Adderley-influenced quintet with Kiwi Kim Paterson, the trumpeter on these sessions. Relocating to Sydney, the men hooked up with Californian drummer George Neidorf (who would later mentor a young Robert Wyatt) and continued to develop musically in the direction of Ornette Coleman, Eric Dolphy and Albert Ayler. All of the tracks on this LP were recorded in Sydney in 1966, at two separate live performances, featuring the same personnel — with the addition of piano on Side 1. Lazy Days, a McGann original, has the strident jollity, surreal circus feel and surging time shifts of a vintage march by Sun Ra (a resemblance which extends to the guerrilla recording circumstances and the attractively meticulous but handcrafted look of the record’s packaging, with a heavy cardboard cover and informative, glossy insert sheet). This tune features crystalline, trilling piano from Bobby Gebert, which shifts into skilful accompaniment, and relaxed, masterful playing from McGann himself. Andy Brown’s bass provides a springboard for the combo and Kim Paterson slices off a concise trumpet solo. Chuggin’, composed by Gebert, is take-no-prisoners high speed bop which calls to mind late 1950s Mingus and indeed McGann is suggestive of Jackie MacLean here, acrobatic and exultant on his alto. Sky, another Gebert original shows McGann delivering wheedling imprecations against the solid textures of the rhythm section, speeding and churning, throwing out sharp edged phrases. Neidorf moves to the fore on this piece playing a featured spot which, unusual among drum solos, ends rather too soon. Side 2 is a slightly more conventional slab of jazz, opening with Thelonious Monk’s Rhythm-A-Ning, which gives Neidorf more scope to display his chops and, in its headlong haste, is an excellent vehicle for the adroit and athletic Paterson. On Ornette Coleman’s When Will the Blues Leave McGann plays with a fat, solid sound like a man shining a torch around a darkened room, illuminating his surroundings in sweeps. In bracing contrast, Paterson is cool and methodical, playing with laid-back premeditation and forging a path for the others with his hammered-out trumpet phrases. Neidorf also gets an extended, resonant excursion, making judicious use of cymbals. Considering that the source of most of these recording (all three tracks on Side 1) was a “worn out cassette” belonging to trumpeter Paterson, the sound quality is startlingly good. The Side 2 sessions, recorded at Wayside Chapel in Kings Cross (then as now, Sydney’s red light district) have more of a location ambience which conjures a sense of place, but at a cost of rendering the musicians somewhat distant and muffled. No matter, this is a fascinating document and a valuable restoration of a lost era in Australian jazz. It’s exciting to speculate what other treats Sarang Bang Records might have in store. By the second day the rain had settled in but the audience’s spirits weren’t dampened- they were there for the music. The line up of trumpeter Franz Hackl’s IDO was surprising- Pete Drungle’s Classically-influenced piano style, Reggie Washington’s electric bass, and Aleksander Petrov’s huge Macedonian tapan drum (it looked like a New Orleans marching band bass drum.) Weather Report’s A Remark You Made had misty flugel and bass in unison, and sensitive brushes. As Drungle’s Chopin-like piano drifted across the oriental groove of Istanbul, with funky bass, and tapan sounding like a giant jembe, the instrumentation made total sense- it pulled at the heart strings. Henderson’s Inner Urge (almost faster than the speed of sound) had loping slap bass, redolent of Washington’s work with Steve Coleman. Taken from Gil Evans’ arrangement, Hendrix’ Little Wing had slow rock energy and jazz subtlety, with Christian Scott-like trumpet stabs. In the land of the Sound Of Music, Do-Re-Mi was played as never before over two dark minor chords, doom-laden but tongue-in-cheek. UK singer Sarah Jane Morris followed, resplendent in red crinoline, with songs from her African-influenced Blood Rain album. The smoked timbre of her deep voice contrasted with the smooth African rhythms of Tim Cansfield and Cameron Pierre’s guitars, recalling the rootsy albums of Cassandra Wilson. Her own songs centred on Afrobeat themes of social justice: No Beyoncé covered honour killings; Comfort Have They None was dedicated to the ‘stolen Nigerian girls’, and Blood Rain vilified callous governments, sung with anger and raw emotion. Wild Flowers was about her childhood, the flowers a recurring motif of innocence among the dysfunction. The soukous rhythms in this and Cave’s Into My Arms were infectious and uplifting. As the temperature dropped outside, we clapped and sang along to Piece of My Heart, I Shall Be Released and her 80s hit Don’t Leave me This Way - a remarkable feat to keep the groove going with just two acoustic guitars and an eager audience. In total contrast, US tenor-player Lenny Popkin’s diaphanous tone drew us quietly into his interior monologue by means of Warne Marsh-influenced bop lines- the edges softened by the tone. Drummer Carol Tristano kept the groove, sometime with brushes on ride cymbal, sometimes with sticks on snare. In You Stepped out of a Dream, Popkin’s long sinuous lines started and ended in unexpected places, pausing till he was ready to say the next thing. Gilles Naturel’s strong bass pulse allowed him lots of space to spell out the harmony. In My Old Flame, Popkin crescendoed up to the peak of a phrase then dropped back, the way speech patterns do. Naturel’s All the Thoughts You Have had a complex bowed bass theme over the chords to All the Things You Are; the bass solo was remarkably detailed and controlled. ‘You’d Be So Nice to Come Home To,’ said Popkin appreciatively to the audience- they applauded the powerful drum solo. In the encore Indiana his notes were immensely fast, never skating over the beat, each note articulated and feather light. French trumpeter Stéphane Belmondo got to know Chet Baker when he was 15, and was encouraged by him. Tonight he was playing music from his recent Love for Chet album, using the same trio format that Baker used in the late 70s/80s. Bassist Thomas Bramerie himself worked with Baker. In Love For Sale, Belmondo’s warm flugel tone, and vivid, melodic way of improvising recalled Paolo Fresu. La Chanson D'Hélène was a plaintive waltz, guitarist Jesse Van Ruller’s excellent guitar full of articulate phrases, recalling Peter Bernstein. Seven Steps to Heaven had exuberant bursts of flugel improvisation, while the gently Latin Daddy and I brought out a more country side to Van Ruller’s playing. Belmondo clustered notes together as if following lyrics in his head. Hard bop tenorist Steve Grossman was next, playing many of the tunes from the album Take the D Train he’s recorded with pianist Martin Sasse’s trio. The sax tone was tough but vulnerable in This Time the Dream’s On Me. Grossman rolled his eyes back, as if waiting for the next note to come to him. Like Someone in Love had a melodic bass solo from Henning Gailing, which Grossman applauded- he focused carefully on all the rest of the band’s solos, including Mario Gonzi’s drums in Take the D Train. Michel Petrucciani once described Grossman’s playing as that of ‘man announcing the latest news, like the newspaper boy.’ There was something urban and compelling about his playing in Bye Bye Blackbird, sliding up to the notes as if pulling them up by the roots, heartfelt but unsentimental. On the other side of the farmyard, there were late sessions in the St. Pig’s Pub- a former pigsty; now a rustic bar for those who wanted to stand, chat and warm up a little. It was hard to see saxophonist David Murray (or to hearJose Rivero’s piano or John Betsch’s drums) from the back of the crowd. But you could see the people at the front responding wildly to his multiphonics as if they were heavy metal guitar solos. One piece alternated 7/4 Latin sections with straight swing, Murray veering between a mellow Lester Young drawl and an Albert Ayler squall. He kept the audience absolutely with him while playing freely. In a highlife-tinged Latin piece, Murray half chanted, half sang, ‘Bahia, where I want to be’, before exploding into an altissimo display. Finnish tenor player Timo Lassy started his career in Amsterdam and returned to his homeland to do some notable work with the Five Corners Quintet and then with Fiver Corners alumnus Jukka Eskola (Review) , who guests on trumpet here. In a part of the world where electronic music tends to dominate, Lassy has remained faithful to acoustic playing, and performs adroit, world class hard bop and soul jazz. Having recently supported singer Joyce Elaine Yuille on her debut album (reviewed here), Lassy is now back as a leader on this CD, his fifth album, with virtually the same line-up as featured accompanying Yuille: the gifted Georgios Kontrafouris on keyboards, Antti Lötjönen on bass and Abdissa Assefa percussion. They’re a great unit and freed of the discipline of comping, they really soar here. The title Green Pepper Strut suggests Memphis Rn'B of the Booker T variety, and initially delivers this in spades, a funky, honking, hand-clapping treat with Timo Lassy probing forward and Kontrafouris adding characteristically virtuosic slabs of Wurlitzer. But it rapidly moves into a more polished CTI mode and then onto increasingly complex and modernistic pastures, with Kontrafouris ably conducting the tour and displaying all kinds of ability on the keyboard as he adapts along the way. It’s virtually a compact fifty year survey of popular jazz idioms, returning to its rhythm and blues roots as it wraps up. Love Bullet presents wonderful soft cloud-of-sound sax from Lassy, alternately gorgeously gruff and beguilingly gossamer, supported by judicious vibes, lazy, lambent and concise, from Panu Savolainen. Subtle keyboard stabs courtesy of Kontrafouris help to set the pace. Hip or Not has a strong soul jazz feel with a hint of modernist astringency. There are superb chiming and shimmering keyboard passages with smart use of space, and lucid virile trumpet from Jukka Eskola. He hands over to Lassy, who raises his game in the afterglow of Eskola’s solo, playing spiky and eloquent tenor. The drumming — from Teppo Mäkynen — and Abdissa Assefa’s percussion are outstanding, contributing a Latin feel. Undecided is a feature for Jukka Eskola and is initially suggestive of Freddie Hubbard in his prime, but soon Eskola, and indeed the whole ensemble, are evoking electric era Miles Davis in a sweetly thunderous, roiling and rolling workout. 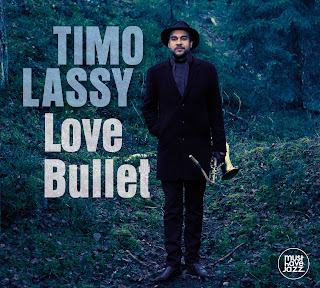 Bullet Outro is hypnotically rhythmic, weaving a pattern of percussion (great work by Assefa, in cahoots with Teppo Mäkynen), supported by Kontrafouris’s trademark keyboard stabs, before Lassy comes in to offer a tender commentary. The Hamburg based label Must Have Jazz (a division of Membran) is a new name — and one they’ve really lived up to with this splendid, noteworthy and deeply enjoyable album. 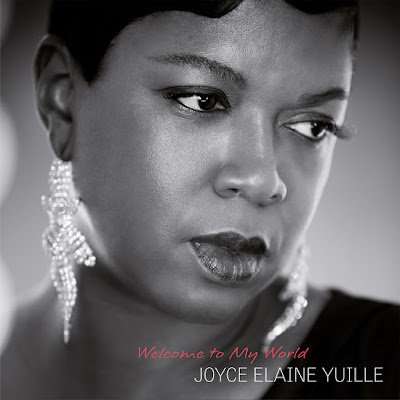 Hailed as potentially a female Gregory Porter, the singer Joyce Elaine Yuille has carved out a beguiling slice of soulful jazz here on her debut album. Born in Harlem and educated in New York she relocated to Italy, working with local groups in Milan and supporting Italian and international stars, including touring as a backing vocalist for Gloria Gaynor. Now the ever-inventive Milanese Schema label has launched her career by pairing her with Finnish tenor sax star Timo Lassy (also reviewed). Yuille has also had a hand in writing most of the songs on this album — with the addition of some well chosen numbers by Donny Hathaway and Marvin Gaye. Accompanied by swinging finger pops and sparkling vibes (from Luca Gusella) Yuille opens the album with Follow the Sun. She possesses a voice which combines the sleek softness and beguiling roughness of a cat washing her fur. Come With Me features a major vibraphone excursion, though this time by Luciano Cantone. Too Soon You’re Old has a smoothly rolling catchiness, with precision drums (Ville Pynssi), percussion (Abdissa Assefa) and lilting vocals which suggest shades of Sade — though not in the lyrics (“Drop some acid”) or the blistering outro courtesy of Timo Lassy’s extravagant, gutsy sax. Late I Rise is soulful, slow and considered and tender with Georgios Kontrafouris’s Wurlitzer organ conjuring Sunday church- window sunshine, followed by his incisive, buoyant keyboard work. Yuille’s great sense of timing and unerring instinct for delivering a lyric is very much in evidence in this leisurely and rapturous soundscape. Donny Hathaway’s Tryin’ Times is another meticulously measured performance with Yuille’s understated and carefully considered vocals supported by some lovely vibes, disclosing emotional colour and nuance in the piece. Lass plays a memorable fill before Yuille and the vibes close it out. Just Say Goodbye is a highlight for Yuille, displaying her relaxed control which gently edges towards ecstasy, as well as being a showcase for Marco Brioschi on trumpet, playing towards the fade with a glowing, compact solo. Welcome to My World features Kontrafouris’s dreamily metronomic electric piano and sensual sax from Lassy, who throughout the album is the glue that holds things together. Make Right has a jaunty sweep and Antti Lötjönen provides sauntering rather than merely walking bass. Chaos is anything but chaotic in its impressively integrated rhythm section, with Kontrafouris and Lötjönen outstanding. Running For My Love has a beautiful birdsong flute solo by Alfonso Deidda. The arrangements for this tight and inventive session are by Luciano Cantone, Luca Mannutza and Giovanni Guerretti. Joyce Elaine Yuille couldn’t have been provided with a better launchpad for what promises to be a stellar career. At the farm run by Festival Director Paul Zauner, the audience was gathering in the huge barn, with its cavernous wooden roof. The walls had just a little red velvet to soften the sound. 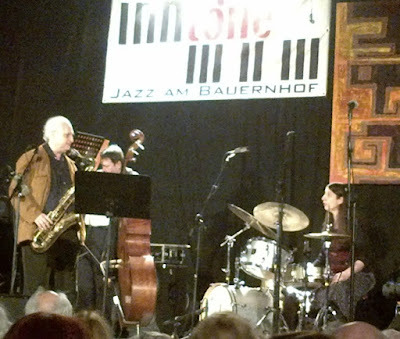 The audience had to squeeze between the rows of seats and the TV crew, interviewing Matthias Schriefl about his 14-piece big band, who altogether play 80 instruments. 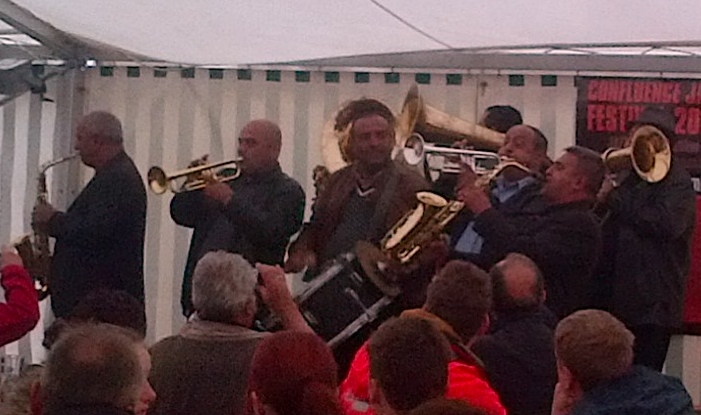 The band opened the Festival with a blast: serious musicianship and huge fun. Schriefl admires Django Bates, and there was a Loose Tubes feel to the set, with its deadpan anarchy and mix of careful orchestration and wild improvisation. Schriefl writes and arranges everything: themes inspired by music from his home in the Bavarian Alps mixed with tangos and sambas; free jazz, and jembe-led African rhythms. The changeable weather of Schriefl’s home was reflected in the dazzling changes of mood. A snapshot: a melancholy trumpet (Schriefl) and trombone theme with chime bars and drifting guitar chords got funky, as bassist Alex Morsey picked up a rudely fruity sousaphone. Schriefl and John Bear brandished alpenhorns in eerie harmony. (Schriefl likes to imagine how the alpenhorn would’ve sounded had it been invented in Africa. )Two piccolos squealed over dancey bass sax and three kicking trombones. The music was wonderfully irreverent and intense. Solo pianist Kaja Draksler drew the audience into her spell, blending modern Classical music (Ligeti, Messiaen) and free jazz (Cecil Taylor is a strong influence) as well as stride and bop. Particularly gorgeous were two pieces inspired by her native Slovenia: a folk song where the spiky right hand worked against the brooding left hand, and a piece inspired by church bells. She scraped the piano strings to produce darker overtones before resolving into a childlike innocence. Some improvisations on Messiaen motifs had a pure, crystalline quality. Her jazz influences seemed stronger on Delicious Irony with shades of Ellington, and her (second!) encore, a rich version of Monk’s Ask Me Now. Along with the thick blankets and glucose tablets distributed by the organisers, the warmth of Bobby Watson’s sax swept us along. The band were just finishing their tour and ‘…usually the last of the tour is the best one!’ he enthused. He played tunes from his own history: A Wheel Within a Wheel and ETA from his work with Art Blakey in the 70s. In the former, his languid bluesiness would suddenly break out into fast chromatic notes that sent a shiver down the spine. “That bad mo’ fo’”, trumpeter Stéphane Belmondo sat in on ETA, negotiating the tight bends of the chords, like a speedy Giant Steps. Curtis Lundy’s effortlessly cool bass pulse propelled Appointment in Milano, from an 80s album by Watson. Eric Kennedy’s (aka ‘Sir Swingalot’!) dramatic drum solo absorbed audience and band alike- Watson and Lundy watched him admiringly over his shoulder. Sweet Dreams, from their new album, had a singing bass solo, and in Soul Eyes, Watson played glittering arpeggios, always keeping the shape of the melody. In Donny Hathaway’s Someday We’ll All be Free (‘we’re trying to interpret it’) you could hear the late singer’s velvet tones in the sax. Richard Johnson’s fine piano solo was gospel-edged with a hint of Jarrett. ‘It feels like a party- all our friends are here,’ said Watson, and you could tell the audience felt the same; a place to meet friends old and new. Pianist David Helbock’s Austrian trio Random/Control played music from their new CD Think of Two, where they rethink tunes by Thelonious Monk and Hermeto Pascoal. Pascoal liked their style so much, he even wrote a piece for them. Their performance was fun and theatrical, with lots of instrument swapping (they play 30 instruments between them). At one point John Bear was alternating phrases between trumpet and tuba (held on his knee like a baby), while Andi Broger was playing two saxes at once in harmony. Bear divided his alpenhorn into two pieces, playing one half like a deep theremin and puffing the other like a didgeridoo. Helbock looked umbilically linked to a melodica whilst playing piano. In Pascoal’s Voa Ilza, Helbock seemed to attack the piano from within- bluesy, funky, Brazilian grooves punched out by Bear’s sousaphone. Round Midnight (played somewhere around that time of night) began with evocative, digitally-looped forest sounds from Helbock’s toybox of bells and whistles. The melody had striking new harmonies and a beautiful countermelody from Broger’s bass clarinet aligned with Bear’s muted trumpet. The trio’s ferocious instrumental technique provided the ‘control’ underpinning their ‘random’ playful improv. After 30 years, Paul Zauner seems to have a sixth sense for programming music to keep his loyal audience enthralled- they come back year after year. Physicists should note that this particular discussion of String Theory involves Partikel rather than particles, and a string quartet instead of theoretical strings. 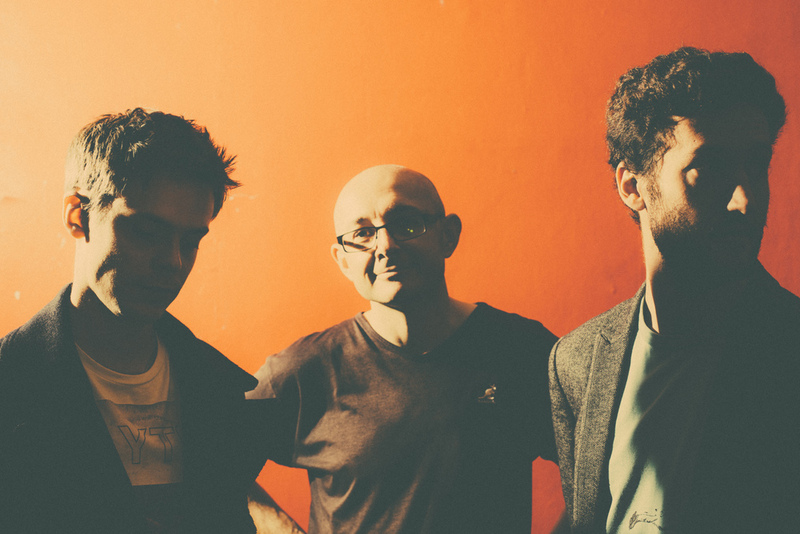 Partikel’s new album fuses the London-based sax, bass and drums trio with two violins, viola and cello (Benet McLean, David Le Page, Carmen Flores and Matthew Sharp). Saxophonist Duncan Eagles, the group’s leader, saw the inclusion of strings as a compositional challenge to himself, “I wanted to really try and push myself in all areas” he explains. It’s a brave move to pin an album on such an experiment, but one which pays dividends in the listening. String Theory opens with Clash of the Clans, a three movement suite which itself begins with a burst of chaotic string noise before settling into a polished arrangement. The part writing is inventive and the strings are neatly interwoven into the trio’s textures, taking turns to accompany, lead and take solos – Benet McLean with a fine violin solo (the first of many on the album). The second movement of the suite, Seeking Shadows, is a well-placed contrast to the slick first track. Emerging from the pitter-patter of Max Luthert’s bass ostinato, the piece unfolds mysteriously, and Eagles finds some beautiful lines on soprano sax. In fact this was a piece which evolved directly from improvisation whilst touring and was left relatively unprescribed even when the tape was rolling. Introduction to the Buffalo, a full track of solo violin prelude, has classical echoes of Ysaÿe’s violin sonatas in its double and triple stopping. Duly introduced, The Buffalo proves to be one of the best tracks on the album. An exotic mood is evoked through Eric Ford’s tabla playing, and the sax and high strings combine on soaring modal melodies, redolent of the Kronos Quartet. Elsewhere we find the trio swinging hard by themselves in Bartering for Bob, and Cover is another more standard trio outing which shows off the economy and panache of Partikel and their ability to do a lot with just three players. 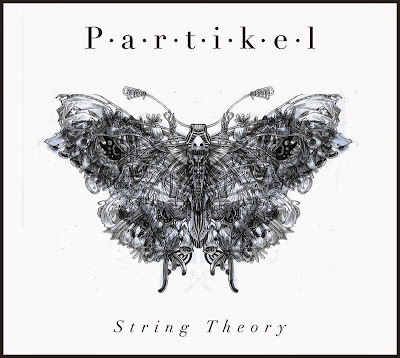 Unlike its astrophysics namesake, Partikel’s String Theory won’t help you understand the universe, but this is listenable and inventive jazz from a band refusing to rest on their laurels. The London launch of String Theory is at Pizza Express Dean Street on June 2nd, the opening night of the String Quartet Festival. Great to see a good helping of jazz back at the long-running Bath Festival after a bit of a lull, and really wonderful to have a chance to hear William Blake's simple, powerful words set to music by Mike Westbrook. As Chris Parker explained in a review of a London gig last year, these songs have been evolving since Westbrook worked on some of them with the late Adrian Mitchell in 1971. Nowadays, their occasional airings feature a well-established small band, led by the composer at the piano, and Paul Ayres comes along to direct a local choir. 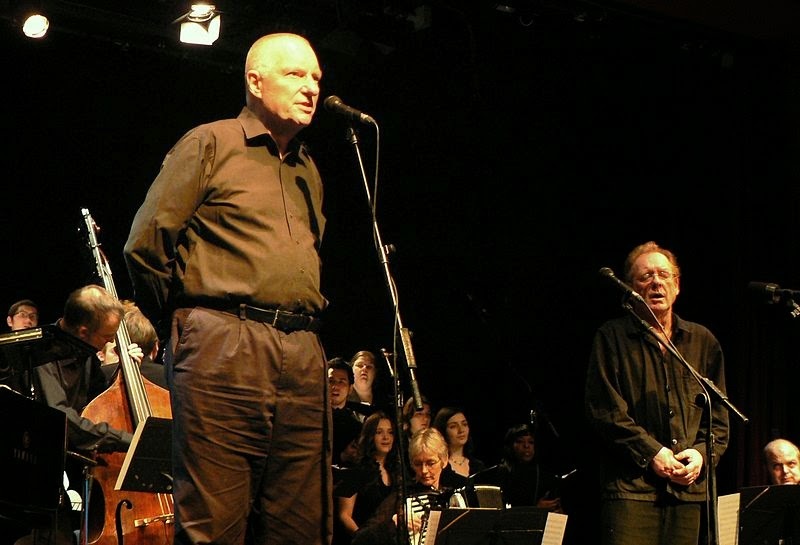 The musicians and the performing solo singers - Kate Westbrook and Phil Minton - know every possible nuance of these pieces: Mike Westbrook himself says they have been "part of our lives for as long as we can remember". Yet they seem fresh each time. The unusual instrumentation helps. Karen Street conjures a full orchestra from the accordion. Billy Thompson lays on lashings of virtuoso violin. Bassist Steve Berry anchors the ensemble, and provides a remarkable impetus to Tyger, Tyger. The quality of the choir, tonight the splendid 17-strong Bath Camerata, adds another essential ingredient, and the setting, the fine old church of St Mary's Bathwick, makes the evening even more special. It is a well worked out performance - the same songs are played in the same order each time. Yet there is spontaneity in the solos, and passion aplenty in the vocal delivery. Berry's bass opening to Tyger stretches out considerably tonight, and involves Thompson in a percussive commentary that makes his violin sound like a bodhran. Street is inventive and eloquent, Thompson fiery and free, the composer quietly considered at the piano. A reliable magic occurs. The timeless words gather power from the music, and vice versa. The effect is thrilling, and genuinely uplifting, as much now as it must have been in 1971. Of all the work in an extraordinary career, you can hear why Westbrook - who turns 80 next year - keeps these pieces alive on stage. Don't think he and Kate are not still creating anew. His next date after this Bath concert, in Falmouth on Bank Holiday Monday, was the first in a Summer itinerary that sees his current big band play throughout the South West, presenting a new show, with a live recording along the way. But whatever pleasures that brings, the Westbrook Blake stands as one of the great achievements of modern English music-making. 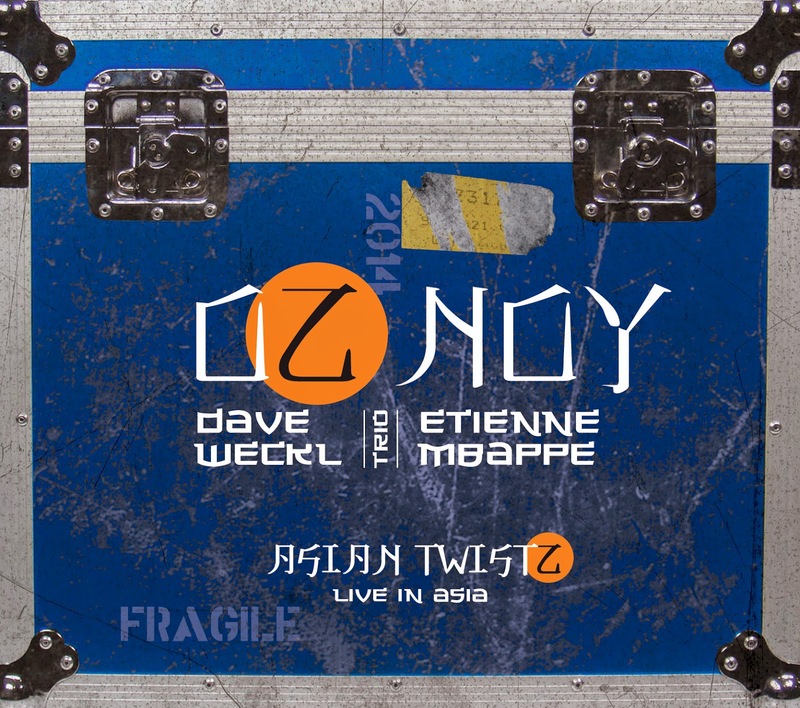 The nine tracks of Israeli-born, New-York based guitarist Oz Noy’s new album are from three dates on a recent Asian tour. They were recorded with drummer Dave Weckl’s Mac laptop with minimal gear, and with no plans at the time for release. Oz Noy crosses a number of genres and, through his use of pedals and effects, clearly aims to mark himself out as a bold new voice in jazz-fusion and blues guitar. 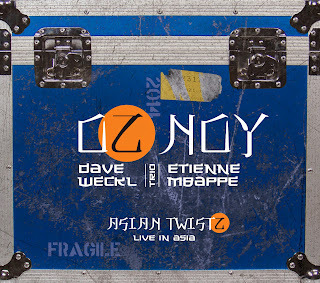 Any album with titans Dave Weckl on drums and Etienne Mbappe on bass (recently of John McLaughlin’s 4th Dimension) has got to be worth a listen. Mbappe may be slightly subdued at times - though always technically brilliant, and Weckl’s power and rhythmic innovation stand out consistently. Many of the tracks were featured on Noy's recent two-volume Twisted Blues, an exploration and deconstruction of the blues sound. Rhumba Tumba is an up-beat number that makes up in gusto what it lacks in any sense of innovative melodic stylings. Whole Tone Blues, though basic in structure, makes frequent use of the aforesaid whole tone scale to add a different soundscape on top of a basic 4/4 shuffle blues rhythm on which Mbappe and Weckl are as solid as iron girders. Weckl spars well with Noy on the drums/guitar intro of Downside Up, where Noy’s use of bend and pedals does stretch out his guitar sound somewhat, augmenting his complex and often explosive playing style; when Mbappe drops into the mix after a couple of minutes, this tracks pops up another level. Perhaps the best track on the album is track eight, the Eddie Harris-penned Freedom Jazz Dance, popularised by Miles Davis’s 1966 recording. Here you can see the real potential this group: a guitar trio sound that is much more than run-of-the-mill and players who combine so instinctively and improvise so well, they have given us an album which successfully captures the band's live show, with uncluttered sound of studio quality. The Second Annual String Quartet Festival at Soho's Pizza Express will be held on 2-5 June and will include four distinctive jazz ensembles with a string quartet. 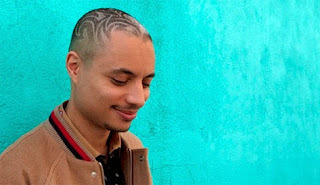 2.6- Partikel - Launching their new CD String Theory, saxophonist, Duncan Eagles' music will also showcase the talents of violinist Benet McLean, also known to jazz audiences as stride pianist, vocalist and composer. 3.6- London Vocal Project with Bowfiddle (resident string quartet). The LVP has collaborated with Kenny Wheeler (2103 Edition CD Mirrors) and currently with vocalist/lyricist Jon Hendricks. A fresh batch of string quartet arrangements by leader, Pete Churchill, will be premiered. 4.6- Empirical with Bowfiddle. All the members of this award winning quartet formed in 2007 by Courtney Pine have penned original string pieces featured on their 2013 CD, Tabula Rasa. One looks forward to the alchemy between the shimmering steel melodia of Lewis Wright's vibes and Bowfiddle's resonant stringularity. 5.6- Gilad Atzmon and The Orient House Ensemble. 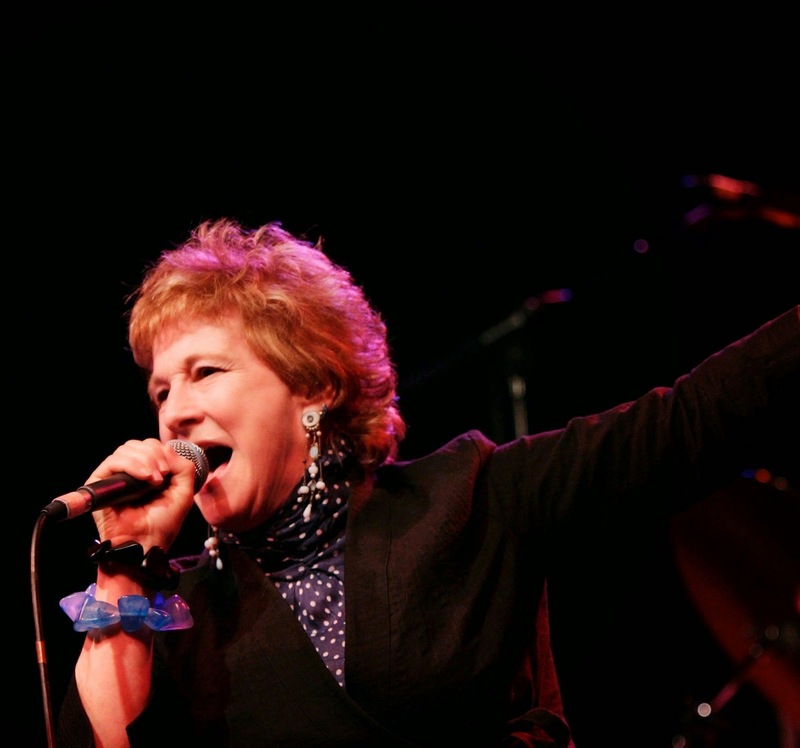 This popular group is a fixture at Pizza Express and will feature the arrangements of Bowfiddle violinist, Ros Stephen. An eclectic mix of tangos and classic songs from Charlie Parker's Bird and Strings will bring this hearty festival to a close. The format for these evenings will be a first set of 45 minutes with Bowfiddle, led by cellist, Laura Rose, and various guest soloists. These will include me, as curator, clarinetist and arranger (in quest of the "Brotherwood" clarinet and fiddles) as well as bassist and pianist, Steve Rose. The festival will see performances of premieres of pieces by Alex Webb, Steve Rose, Andy Hall, Nigel Waddington, Ros Stephen, and Duncan Lamont and myself, as well as Kenny Wheeler's String Quartet. The considerable longer second set (75 minutes) will be with the main act and Bowfiddle. The third CD encounter between reed specialists Ken Peplowski and Alan Barnes provides a great variety of top-class swinging jazz numbers with an excellent rhythm section. No surprises there then. The surprises and delights come in the choice of material, which is varied and fresh. The opening Tippin’ (Horace Silver) gives a clear indication of what is to come, with Barnes’ baritone leading out, followed by a Dave Green double bass solo and Peplowski’s fluid clarinet rounding things up. Barnes does the rounds of his reed instrument collection, appearing on clarinet, bass clarinet, tenor and alto saxophones across the album, while Peplowski limits himself to clarinet and tenor sax (perhaps due to airline baggage restrictions?). There is a great variety of music here. On the Latin side, Luiz Floriano Bonfá’s rolling Menina Flor is another baritone/clarinet feature that shows the feel of Steve Brown’s drumming, and Antonia Carlos Jobim’s Luiza makes a delightful clarinet duo ballad. The band romps through Junior Mance’s Jubilation, with a fine piano turn from John Pearce before Barnes shows off his flowing alto style. This number is nicely rootsy, as is Al Cohn’s rarely-heard Jazz Line Blues. The one ‘standard’ standard, Perdido, is given a nicely fancy duo head arrangement with much swapping of lines between the horns. The album closes with an extended slow Pee Wee Russell blues, which is very nice coming down at the end of the session. The session was actually recorded some time ago (2010) at the Watermill jazz club in Dorking (as the title suggests). There is no audience in evidence, so I suspect that the recording was not made at an actual gig. Andrew Cleyndert’s recording sounds nicely ‘live’, not as close miked as the previous Peplowski/Barnes releases. The rhythm section – Scott Hamilton’s regular support at his Pizza Express residencies – provide the expected seamless backdrop to the virtuoso reed performances. If you like this sort of thing, then you will like it – a lot. The quietly individual pianist Ran Blake is a lifelong student of composer, arranger and theorist George Russell. They were long-time colleagues at the New England Conservatory (NEC) where Blake still teaches. But their musical relationship began in the 1950s with Russell's Jazz Workshop release. The new CD booklet reproduces a star-studded list of signatures Blake gathered in New York in 1959, petitioning RCA to keep that recording available when it went out of print (they declined). Half a century on, Blake has more clout - hence this set in tribute to his late colleague and friend, recorded five years ago and released now in the run up to Blake's 80th birthday. The seventeen brief excursions here are topped and tailed with two solo piano ruminations on Autumn in New York, rendered in Blake's familiar oblique fashion which manages to make it sound unlike any versions you heard before but still leave the song clearly discernible. In between are pieces for piano, a few duos, and some executed by an ensemble of NEC alumni schooled in Blake and Russell's methods. They include Aaron Hartley on trombone who also produced the session. The set list mixes works by Russell with new compositions of Blake's inspired by moments in the former's biography, and one other songbook piece, Rodgers' and Hart's Manhattan. This last has a nod or two to Ellington, but Russell and, in Blake's playing, Monk are the guiding lights. The music overall has the wistful, gently melancholic temper that the pianist's preference for slow to medium tempos and unusual chord choices habitually evokes. It suits the Russell pieces well. They are mostly early Russell - three come from that Jazz Workshop set - so do not call for the rhythmic layering or often raucous soloing of his later big band work. They are presented here as richly detailed chamber jazz miniatures. Russell's most widely noted contribution to jazz is his pioneering of the shift to organising solos around modes rather than chord sequences. But there is much more to his work than that and the unusual sonorities and pleasantly unexpected intervals that the small group pieces here continually serve up and reflect some of its other aspects. Jack's Blues, one of those old workshop pieces, sounds like a more adventurous out-take from The Birth of the Cool. The Ballad of Hix Bluett sets violin against pedal-steel guitar and calls to mind Bill Frisell's warped Americana. Occasional touches of electronics reflect Russell's early interest in synthesisers - as in Biography, a piano solo set against an electronic backdrop. Russell's career was longer and more diverse than a single recording can convey. 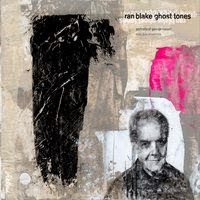 Still, the variety, musicality, and constant small surprises of Ghost Tones are a fascinating homage to a figure whose work is, as Blake says, as distinctive in its way as that of Messiaen, Strayhorn or Stevie Wonder. From the opener, Joni Mitchell’s Big Yellow Taxi, to the heavily gospel-inflected encore on the Staples Singers' Respect Yourself, with more overtly jazz material like the classic All Blues - beautiful rich-sounding bass vamp intro from Neville Malcolm - and the rarely heard standard I Cover the Waterfront along the way, the totally unique and impassioned singer Carol Grimes and her brilliant but unshowy band of Dorian Ford (pno) Roy Dodds (dms) Annie Whitehead (trombone) and the aforesaid Malcolm held an almost full house enthralled throughout her wonderfully eclectic show at Lauderdale House last Thursday. Grimes has been a favourite, and with North London audiences in particular, for years. Her career spans so much, from the very first Glastonbury, two solo albums recorded in Memphis, world tours with contemporary ‘classical’ choir The Shout and, more recently ,strong reviews on a BBC assembled Soul package. At Lauderdale all these inflences melded together seamlessly, although nowadays her natural singing voice has a relatively subdued smoky quality, as on Billy Strayhorn’s Lush Life, the ‘brainy’ singers’ ballad of choice, On her own dramatic Alexandria’s Dance, she let rip and demonstrated a range that few others on the circuit could match. Amid all her warm, friendly presentation, she wasn’t afraid to hit the crowd with some tough uncompromising material, as on the deceptively hedonistic groover I Believe in Us when the bitter line ‘when we eat, a million people starve’ cracked out like a pistol shot. Such is the dramatic focus on the singer it might be easy to forget just how good her band is. Ensemble playing was tight,with well-oiled grooves when called for and a string of beautifully shaped solos from pianist Ford and trombonist Annie Whitehead a paradigm of deceptive simplicity and tonal variety frequently achieved with skilful use of the plunger mute: a wonderfully poised duet with with bassist Malcom on the rarely herd classic, Nat Cole’s Nature Boy drew a strong reaction from the crowd, proving yet again that frenetic overkill is not always the best way to get to the audience’s heart. Carol Grimes and her band present such deceptively beautiful music often built on great grooves as on I Believe in Us or the delicacy of Nick Cave’s Into My Arms that I am always reminded as I was yet again last Thursday, that hers is a very special part of the UK music scene and that she deserves to be cherished as well as simply enjoyed. 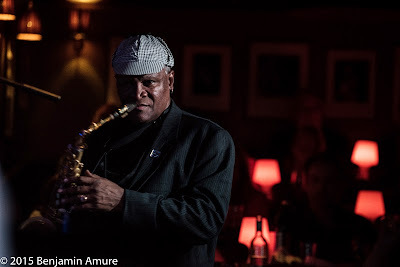 Alto saxophonist Bobby Watson, who was composer/arranger for Art Blakey and the Jazz Messengers in the late 1970s made a trimphant return to Ronnie Scotts on Sunday. His programme included four originals, including two long-standing Messengers classics A Wheel Within a Wheel and ETA which still resonate vitally today, with the spark and freshness they had at their inception. The aptly titled. ETA, it emerged, was composed during the lead-up to the birth of Bobby's son some 30 years ago. Pianist, Richard Johnson, a native of Pittsburgh, birthplace of so many jazz legends (Stanley Turrentine, Erroll Garner, Art Blakey and Billy Strayhorn) handled his roles with aplomb, both as accompanist and as soloist. His proclivity to quote was well-noted throughout, with David Raksin's theme to Laura making more than one appearance. Too bad, then, that fellow quotesters like Jim Mullen or the late Bill Lesage were not on had, they might have given him a run for his money. Veteran bassist, and brother of vocalist, Carmen Lundy, Curtis Lundy, sparkled in his time-keeping as well as his solos. His considered melodic shapes meted out on Sweet Dreams were a grand example of this. Baltimore-born drummer Eric Kennedy gave sensitive support to the soloists, creating subtle and muted moods. By contrast, he demonstrated more flamboyant African polyrhythms on his unaccompanied solos. 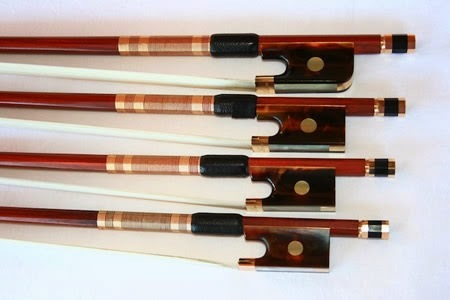 Watson's alto effectively weds his liquid and silky tonal quality with a serpentine-like technique coupled with the application of circular breathing, which is accomplished by inhaling and exhaling concurrently to avoid a break in the sound. Circular breathing is often trotted out as a mere sideshow gimmick by the chancers and the less capable stuntsters; Watson uses it as an intensifier, building up the dramatic flow of both the music and the message. The penultimate piece of the set, Mal Waldron's classic, Soul Eyes stood out not least for Bobby's solo entrance quoting Harold Arlen's Somewhere Over The Rainbow followed later by Tony Hatch's Downtown during his brief cadenza at the tune's close. What these songs (especially the latter) have to do with Soul Eyes is anybody's guess, but of course an interpreter of this great repertoire associated with this music has full licence to do as he or she pleases. Long may Mr Watson continue to do exactly that, and - please - to come back to Soho sooner rather than later. From his beginnings as a classical student (including a scholarship in the States) via straight-down-the-line big band jazz, Blaser has gradually forged his own identity across a number of recordings to express the trombone's wider capabilities into free jazz and other forms. He seeks music-making without constraint ("I want people to know that there is jazz, blues, classical music, beautiful melodies and no boundaries"). Joining him on this bold recording of original compositions, coupled with interpretations of Giuffre and Carla Bley, are regular colleagues Russ Lossing (piano, Rhodes, Wurlitzer and Minimoog), Drew Gress (bass) and Gerald Cleaver (drums). Artistically directed by Robert Sadin (Wayne Shorter, Herbie Hancock, Sting), it's the refreshing cross-genre unpredictability that defines Spring Rain. For example, the original hypnotic jazz clarinet of Giuffre's Cry Want is translated into a brooding contemporary classical landscape of trombone and piano, with Blaser's technical ingenuity matching Russ Lossing's similarly dark, searching textures. 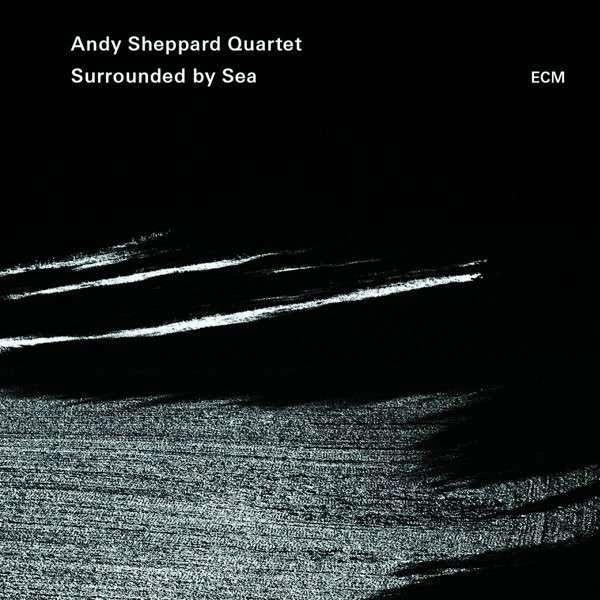 The full quartet is introduced in turbulent Missing Mark Suetterlyn, Blaser's own composition striding broadly to spiky, shared trombone and keyboard phrases; and Carla Bley's Temporarily swaggers and slides magnificently. With Mahlerian horn echoes, the trombonist's Homage solo leads to shadowy Umbra, Lossing's thunderingly sustained piano punctuated by plucked strings; here, recalling psychedelic Davis/Zawinul fusion, Blaser's intoxicating brassiness responds to wildly abstract Rhodes and Minimoog scribbles, buoyed by energetic bass and drums. Giuffre's Scootin' About is more brashly portrayed in this trombone and piano arrangement, overflowing with jagged, tumbling phrases; and although Blaser's tone is predominantly clear and direct, he also possesses the remarkable adaptability to transform it into ambient textures and impressively-mastered multiphonics. Trudgin' treads cautiously to mournful trombone glissandi and rippling keyboards, whilst title track Spring Rain is haunted by disquieting percussive slivers and knocks, empty chiming piano and trombone growls – a fascinatingly perturbing episode of the unexpected. At almost four minutes, Blaser's Trippin' is a one-man masterclass in bluesy, rhythmic licks and clever multiphonics – quite a feat for solo trombone, which must be pretty staggering to experience live; and Counterparts rattles freely to Drew Gress's heavy drums/percussion, its blistering trombone cascades and harmonics imitated by sforzando piano. To close, Carla Bley's Jesus Maria (once recorded by Giuffre) is, at eight minutes, spellbinding in its devotion; with mercurial bass, piano and brushed snare at its core, the leader bookends the piece by simply stating and restating its theme through softly-muted trombone – very special. 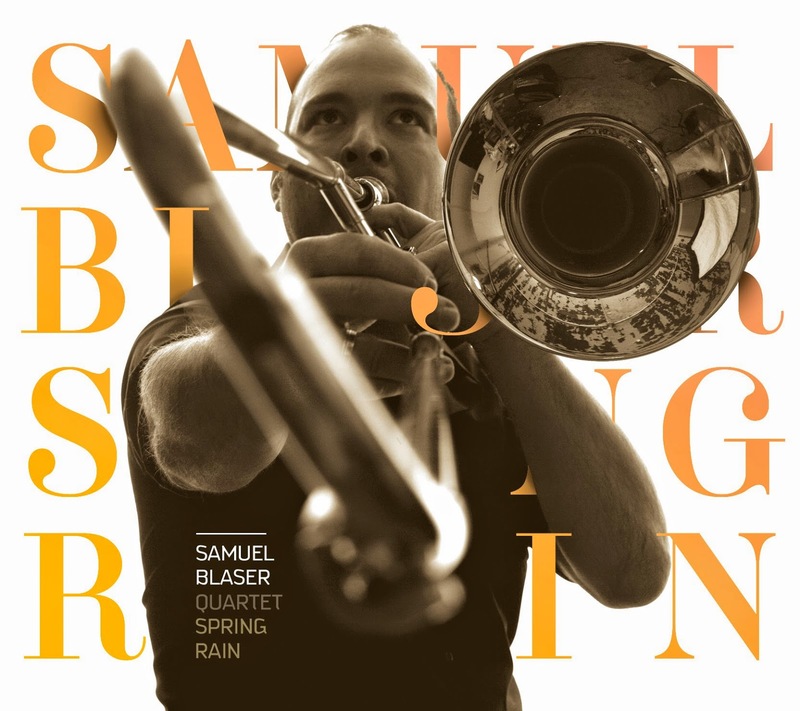 Neither simply an out-and-out jazzer nor free jazz exponent, Samuel Blaser's intention that Spring Rain might "show that the trombone can be melodic and have various forms of expression" is beautifully realised in this imaginative, forward-thinking release. 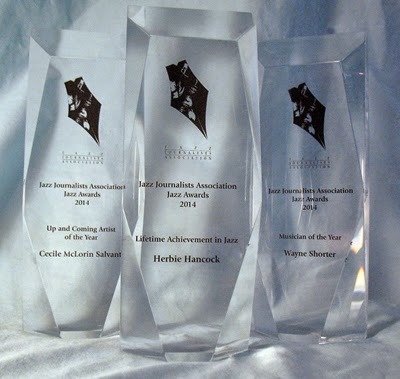 When you’ve won a Grammy, had your last album constantly in the charts and done over 200 sold-out shows each year to a global audience, making yourselves the new king-pins of contemporary jazz, what do you do next? In the case of Michael League’s all-conquering Snarky Puppy, you do a concept album with an orchestra. A touch of hubris? Not a bit of it! With this album/DVD, Snarky Puppy show that they have what it takes to take jazz to a mass audience while retaining a clear respect and love for their craft, and growing as a musical collective. Sylva represents a musical departure, but the core Puppy sound remains to the fore, driven by the rhythm section of League and drummer ’Sput’ Searight, the trumpet playing of Maz Maher and the beautiful keyboard runs of Bill Laurance. Allusions to woodland in the title indicate the thematic pulse of this suite of six tunes: each is part of a story dedicated to the forest, with League across six tracks capturing the many sides of a place where, he says, “he feels truly connected to the earth as a human being.” All the pieces were written specifically for playing with Dutch ensemble the Metropole Orkest. With an orchestra behind them, Snarky Puppy sound radically different - more expansive, more organic (they only used analog instruments), drawing inspiration from the metal and wood landscape in which they recorded this album, with audience members situated in and around the band. The accompanying DVD demonstrates well what fun the band, orchestra and audience clearly have with the music. Opener Sintra is, after a mournful string elegy, a majestic start: League’s pulsing bass introducing the enviable sound of the three-man horn section of Maher, Jay Jennings and Chris Bullock. This is a tricky little tune, with elements of Spanish rhythms and textures introduced by the orchestra, which sets the mood for the album. There is definitely a sense of this music as both jazz album and soundtrack to a film. Sintra segués into the best track on the album, Flight, with Bob Lanzetti’s insistent guitar lick giving way to some beautiful motifs from Cory Henry on the Moog. In the middle it gives off a ‘70s vibe, but it has a fresh modern sound which exemplifies the magic of 'the Puppy'. Track three, Atchafalaya jumps out of the speakers - Ries Schellekens’ tuba pumping out a jaunty riff, giving room for swing - some really deep swing - from the Snarky Puppy horns, which embellish a fun track that is appreciated by the audience which applauses rapturously at its end. The rest of the tracks on the album are of equal quality - there are no dog tracks to skip here. Two long tracks in particular - The Curtain and closer The Clearing are over fifteen minutes each and border on symphonic film music, with different movements giving the band and orchestra a story-telling opportunity which they don’t miss. A total blast throughout. The accompanying DVD of the recording demonstrates just what a smooth running music-making machine Snarky Puppy is. They’re a band which, led by the rhythmic genius (and I don’t use that word lightly) of Michael League, is greater than the sum of the fantastically likeable parts and demands to be enjoyed. The only way is up for Snarky Puppy. The film Whiplash wasn't positively received by musicians in general but it has sparked a new wave of interest in Buddy Rich and in big band drumming, with the result that alto saxophonist Alan Gauvin's private gig recordings from his April 1976 - early 1980 tenure with Buddy's band are now being publicly released for the first time. A CD entitled The Solos appeared a few months ago but this release concentrates on complete performances by the band on pieces with no or very brief solos from Rich. Considering the fact that they were recorded on a Sony tape deck with two stereo microphones, the sound is surprisingly good. Gauvin's liner-notes shed light on the experience of working with Rich and are pleasingly informal. Whether or not you agree with his assertion that these are ''the most exciting recordings of Buddy's band ever offered for sale'' or that it was the best incarnation of the Rich band, it's certainly a super-tight and very ferocious one and it's easy to believe that Buddy was well-pleased with it. As Gauvin points out, this is the result of a happy combination of musicians working seven nights a week for more than forty weeks each year - an unimaginable feat for a big band these days. Amongst the personnel are Bob Mintzer, Steve Marcus and exuberant lead trumpeter Dave Stahl, but of all the horn-players only Marcus gets lengthy solos (on soprano). However thanks to the inclusion of two trio tracks we have the pleasure of hearing sparkling pianist Barry Keiner stretching out (on Just Friends and I Hear A Rhapsody) and this is a reminder of just how sad it is that he died on the band bus in 1980, aged 30. Gauvin hints that there are more releases to come, in which case it's to be hoped there are more great examples of Keiner's playing to be made public. The big band tracks are Mexicali Nose and Birdland - both taken very briskly - plus Milestones, CTA, God Bless The Child (featuring Turk Mauro on baritone), Moment's Notice, Three Day Suckers, Parthenia (composed and arranged by Shelly Manne) and Keep The Customer Satisfied. 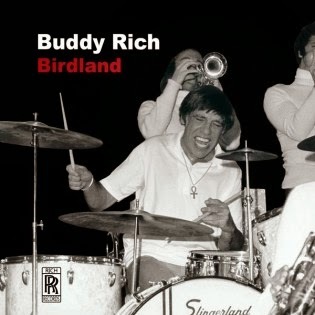 There's no doubt that Buddy Rich fans will want to add this new material to their collections - some of these versions are better than those on the ''official'' recordings and there's the bonus of the trio tracks. For newcomers it might be good to acquire this in conjunction with the great albums from the late sixties.